The only non electric system on the market that never requires replacement parts. 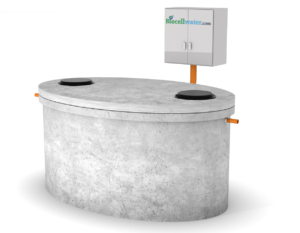 Biocell Water provide the best non electric commercial sewage treatment plant with the lowest operational and maintenance costs on the market. 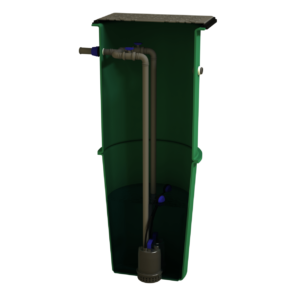 Our sustainable systems use advanced Clearfox Nature wastewater treatment technology and are a unique off mains drainage solution for larger developments. These industry leading commercial sewage systems represent the cutting edge of research and development in wastewater treatment. The beauty of this zero energy treatment plant is that it can never breakdown or fail. It requires no eletricity, no media and no replacement parts for its continuous smooth running, giving trouble free operation throughout its lifetime. It is an ideal low cost sustainable commercial wastewater treatment solution for applications from 50 persons upwards. 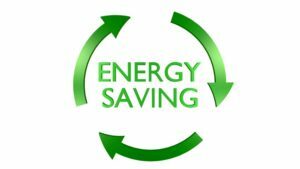 Why Buy a Zero Energy Commercial Sewage Treatment Plant? When purchasing a commercial off mains drainage solution, there are three main costs for your consideration. The first cost is the initial purchase price. Non electric commercial wastewater systems compare very favorably on purchase price with equivalent high quality electric treatment plants. However, they have the advantage that no further expense exists after the initial purchase. The second major cost with any commercial wastewater treatment plant is power consumption. Advanced technologies such as Biocell SBR use less electricity than conventional wastewater treatment plants. The electricity, however, is still a daily cost. Conventional RBC, SAF, MBBR and BAF commercial wastewater treatment plants are constant aeration plants. They constantly use electricity 24 hours a day, seven days a week regardless of the level of use. By contrast, our non electric system uses no electricity. The resulting cost savings are considerable and increase with system size. So the bigger the system the bigger the savings. The final cost with any wastewater treatment plant relates to the replacement of wearing parts. These can include linear air compressors, side channel air compressors, submersible pumps, eccentric screw pumps and aerators. All of these components have wearing elements such as bearings, impellers, o-rings and filters that need regular cleaning and replacement. Also, each mechanical component only has a limited lifespan. So with any electric wastewater treatment plant, consider the site visits for maintenance, replacement wearing components, and complete equipment replacement. 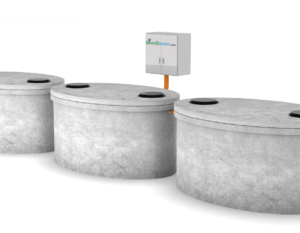 As already mentioned above, Biocell non electric commercial wastewater treatment systems will never require replacement parts or equipment to continue to work – a significant long term cost saving for you. Primary settlement: Raw wastewater passes through primary settlement tanks allowing the larger heavier solids to settle out of the wastewater. Biological treatment: The primary treated wastewater flows from the buffer tanks into the biological treatment zone. Here natural ventilation allows for a dense colony of bacteria to grow within the tank. This bacteria feeds on and breaks down the wastewater producing a clean and clear final effluent. 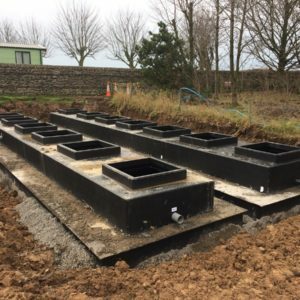 Alongside having no parts requiring replacement or maintenance, our commercial non electric septic systems are manufactured from reinforced precast concrete. This means we can offer a 40 year structural guarantee and warranty on our tanks. 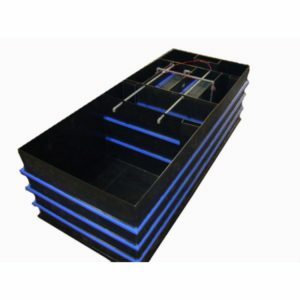 Most plastic and fiberglass tank suppliers and manufacturers only offer a short 10-15 year guarantee. Plus, it is only valid where specialist installers carry out installation works. Biocell Water are the only manufacturer offering a guarantee that our wastewater treatment plants will not need replacing or removal after 10-15 years due to structural failure or deformation. We recommend that you invest in a sustainable solution when purchasing a commercial sewage treatment plant for your project or development. Non electric will cost less in the long run than any other option. In terms of operational expenditure, no other commercial wastewater treatment plant is comparable. Get in touch to speak to a member of technical sales. We are happy to answer any questions or give a free no obligation quotation on a commercial non electric wastewater treatment solution. Great company to work with. Very reliable team and product. The Clearfox nature was the perfect system for our self build sustainable home. Love that it costs nothing to run! After calling lots of companies found Biocell the best to deal with and got the best value for money with them. System came on time and we didn’t have any problems with the installation, no interruptions to the business. It runs perfectly. Highly recommended!